The Patented X3 Bench Desking range is ideal for call centre and multi personnel office environments, where flexibility and adaptability is an essential requirement. It also comes with a variety of accessories and add-on's, including a kit for sliding tops. Special Colours are also available to order, including Matt Finishes, Dupont Shades and Silver/White Ral 9002, popular in hospitals. Other than that, we can match almost any colour subject to certain minimum order requirements. *The below information is universal and so applicable variations may apply. Ultimately, a crosshead/Phillips screwdriver and an Allen key set will allow you to install a complete desk when purchasing a frame and top from us. All lines with an �In Stock� status indicate that we have 'some' parts in stock, but this isn�t a guarantee we can fulfil your complete order. Your delivery ETA or despatch confirmation will follow in a subsequent email. Stock status is correct at time of order but may be subject to change. 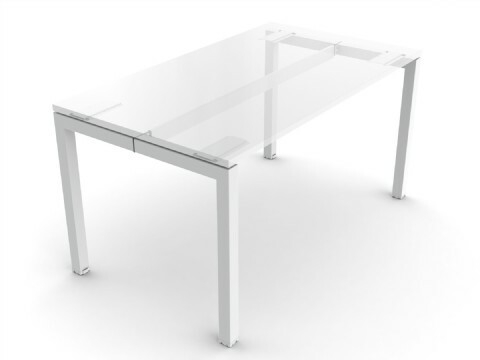 For more information on these desks please use the technical data tab below.